Since 1995, he has been at the forefront of encouraging and mobilizing spiritually-minded business leaders to step out in faith by employing their talents to build their communities. In recent years, Mr. Ruddick’s agendas have included hands-on activities in Russia, Belarus, Ethiopia, Botswana, Afghanistan, South Africa, Hong Kong, China, Indonesia, Vietnam and Israel. His initiatives have included biblical business startup programs, entrepreneurial workshops and conference talks to acquaint the West with the realities and strategies to bring change to the parts of the world living on less than $2 a day. He also has helped organize and launch an international consortium of humanitarian aid that assists Israeli immigrants. entrepreneurship and spiritual gifts, and the dynamics of markets undergoing change. Mr. Ruddick has been a board member of several international charitable and humanitarian organizations. 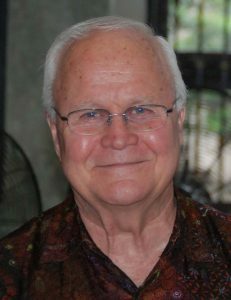 He served as Corporate Secretary of the segment of the International Christian Chamber of Commerce that produced the popular Chinese television series ” You Can Start a Business .” Mr. Ruddick has been a keynote speaker and workshop leader for numerous national and international leadership summits, CEO forums and marketplace conferences; and is a member of the editorial advisory board of the Journal of Ministry Marketing and Management. Over the years, he has served executive-suite management with his planning and strategy development talents in a diversity of progressive mid-sized operations, charitable organizations, and a diversity of well-known multi-national companies. He was at the helm of designing and implementing two successful corporate turnarounds, one being for a $1.4 billion firm. His specialty for both the business and charity spheres is in evaluating the dynamics impacting changing and emerging markets. 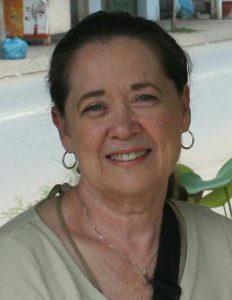 Carol Ruddick: Carol Ruddick is co-founder of Global Initiatives. She is a business owner, entrepreneur, medical case manager and retired, licensed psychotherapist with a specialty in trauma counseling. She has served as a member of the Red Cross mental health team. With specialties in disaster relief, she has applied her expertise from war-torn regions of Eastern Europe, to Israel, Asia and Africa. Ms. Ruddick holds two graduate degrees in counseling and has served as a counselor at the university level, working with young believers intent on mapp ing out a course for their lives that makes a difference. Her business acumen includes establishing a successful practice of medical case management. Her positive encouragement and wisdom overshadow and bring great expectations to those Global Initiatives reaches out to serve. designer and manufacturer of equipment used in the petrochemical industry. Mr. Bartlett is an entrepreneur and community builder whose agendas have brought change and vitality into a wide-range of Kingdom initiatives. and cultures of our society. 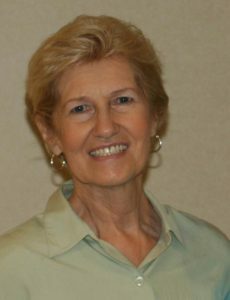 Judith Haynes: Judy Haynes has served in senior positions as a specialist in grass roots change in both the business and political arenas. Ms. Haynes was a founding member of the Christian Coalition and has served in key roles in national U.S election campaigns. Her wisdom and agendas have released ripples of change across the US and internationally. Marco Leardini: Mr. Leardini is founder and president of a merchant banking firm, EpicPay (formerly Spectrum Merchant Services), as well as having formerly served as a missionary. He and his wife Valerie serve in business-ministry leadership roles at Kingdom Life in Frisco, TX. John Barden. Mr. Barden is an entrepreneur/ business owner. His firm Digital Adrenalin provides creative strategy, storyline development and digital content through scripts, storyboards, digital films, visualization renderings, animations, designs and illustrations. His practical grasp of spiritual gifts translate into his being in demand as a teacher. Ken Toney: Pastor Ken is a strategic mobilizer in Memphis. Apostolically, he brings churches together for events, while leading his own congregation filled with entrepreneurs. 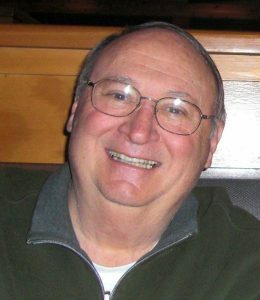 He serves as a consultant for Oracle and Unix assignments while leading a unique coffee-shop enterprise ministry outreach. 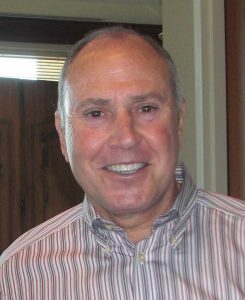 Jon Grieser: Mr. Grieser is an experienced wealth management and investment counselor, as well as being founding partner of the Paga Group, a seasoned team of intercessory leaders and licensed ministers. Michael Johnston: Mr. Johnston is founder of M&R Associates Construction Consulting, LLC a residential exterior construction company. He also serves as founder of Mansion Builders International a non-profit organization that has overseen several humanitarian building projects in Nigeria, West Africa. He and his wife serve as marketplace ministry leaders to channel resources for Kingdom initiatives. Steve Baum: Mr. Baum is an entrepreneur and business owner whose companies are designed to develop, build, and provide resources for the commercial, residential, and energy markets. 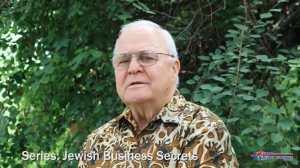 His unique focus is on development in Israel and Aliyah along with global business solutions and humanitarian global outreaches. Bill Bolton: Dr. Bolton is the founder and first Director of Cambridge University’s St. John Technology Innovation Centre. As a recognized international business consultant, and author, his business models are considered a global standard for entrepreneurship. Barry Harper: Mr. Harper is one of the two original founders of Opportunity International, the world’s largest micro-lending institution. As a renowned business consultant, his efforts over the years have made a major impact on mobilizing entrepreneurs in a way that brings change to lands of poverty and oppression.